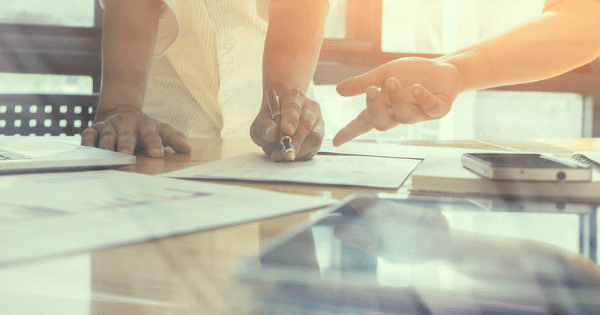 Recently, we have been trying to build some dashboards leveraging a direct connection to a PBCS application in Oracle Analytics Cloud’s (OAC) Data Visualization. 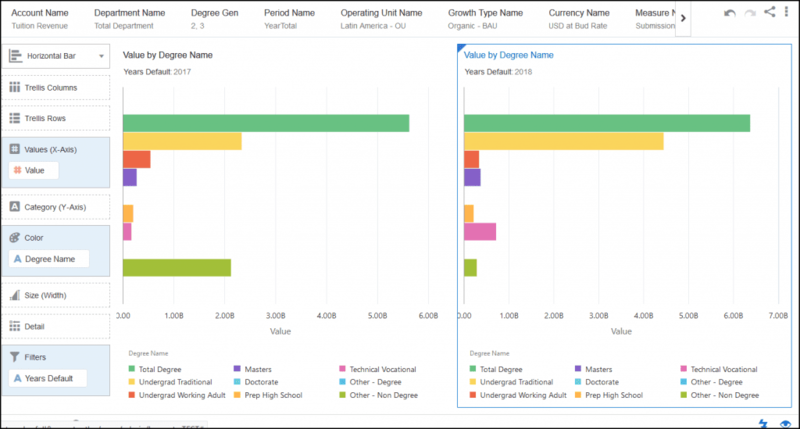 However, we have run into a snag where the dimension name is automatically being included in the data set being utilized for our visualizations. Luckily, we have found a quick solution to this issue which we have outlined below. As you can see in this particular DV Project we are attempting to create an analysis on what Degrees generate the most Tuition Revenue. 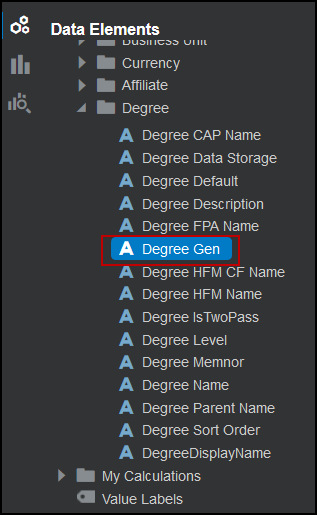 By default, the dimension name Degree is being included in the data set. Our first reaction was to create a filter to include every member under that dimension except for the dimension name itself. After excluding the dimension name, which seemed like a sure way to get around the issue, all we are left with is a confusing query error that doesn’t really explain what we did wrong. The easiest way around this issue is to combine different properties of the dimension in your query. In this case we used the Degree Name for the visualization and then added the Degree Gen to create a filter. 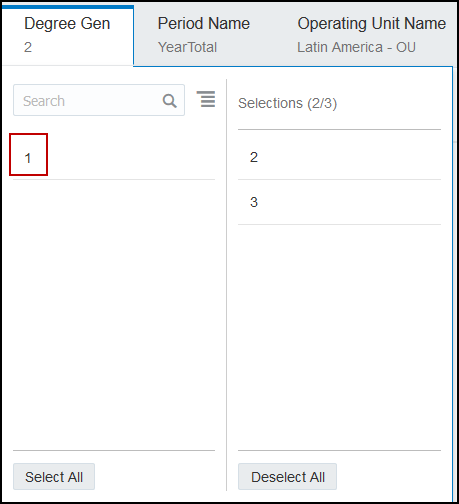 By filtering on Gen 2 and 3 we are able to exclude the dimension name from the data set. 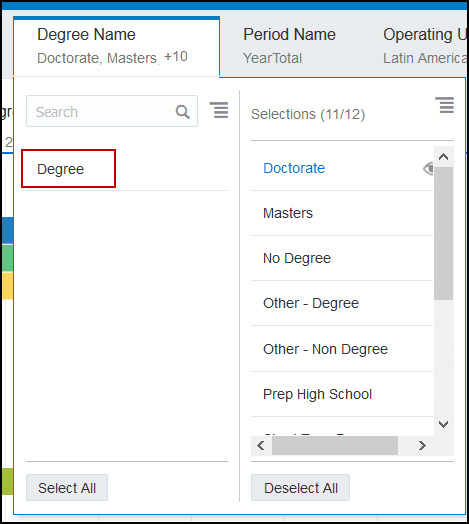 Now as you can see below the visualization does not generate a query error and the Degree dimension name has been removed from the data set, resulting in the correct analysis.